What train station would you add to this list? Train stations are romantic, magical places. It might be because many couples separate and reunite here. It might be because of the historic buildings that inspire writers to create stories and legends. It might be the train journey itself, an exciting adventure to foreign lands or a return to familiar settings. Whatever it is, that magical feeling is accentuated the moment we step off the train and enter Europe’s iconic train stations. 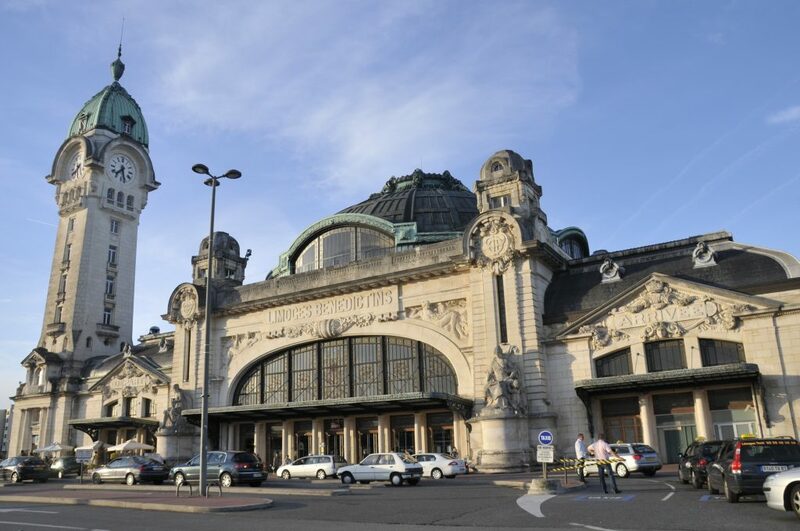 So let the journey begin, as we highlight Europe’s most fascinating train stations. France takes good care of its beautiful buildings and this is obvious in the case of the iconic train station in Strasbourg. The building, which originally opened in 1846 and rebuilt in 1883, is protected by a beautiful glass shell which was raised in 2007. 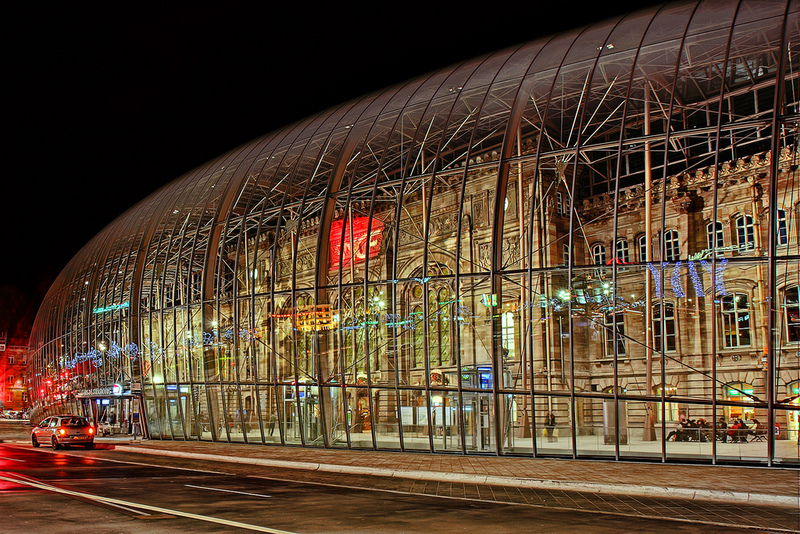 The Strasbourg Train Station is the second largest train station in France. Madrid’s Estación de Atocha, also known as Madrid Puerta de Atocha, amazes travelers as they arrive to Spain’s capital city. Aside from its stunning design, this impressive train station has become world famous because it shelters over 500 species of plants, transforming Madrid’s largest railway station into a huge indoor tropical garden (the garden is over 4,000 meters squared!). In addition to being close to Madrid hotels, the original structure has been converted into a concourse with several shops, cafés, and even a nightclub, making it a destination all on its own. 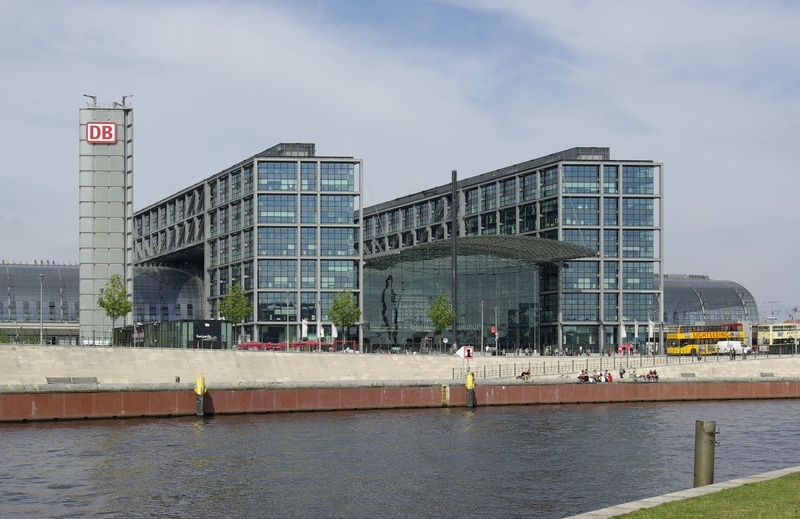 Berlin’s central train terminal is located on the site of the historic Lehrter Bahnhof, which opened in 1871. The station has since been renovated and rebuilt over the years, with the current structure completed in 2006. 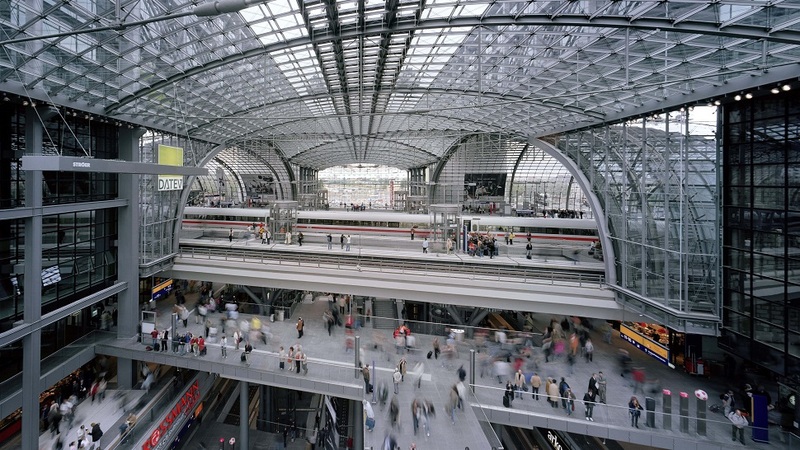 Berlin Hauptbahnhof is much more than a train station, it’s a popular tourist attraction in itself. It’s central location is convenient for tourists because its close to a variety of famous landmarks, hotels and apartment rentals. Aside from its futuristic concept the over 80 shops that transforms the terminal into a mall, Berlin’s Central Station also features an outdoor beach! The list of Europe’s most fascinating train stations would not be complete without including Antwerp’s legendary Central Station. It’s often called the “Railway Cathedral” because it’s architecture is similar to a religious edifice (one cannot help but feel like being in a cathedral when stepping inside the station for the first time). However, this feeling quickly evaporates at the sight of the diamond gallery that has more than 30 diamond shops. In 2009, the American magazine “Newsweek” judged Antwerpen-Centraal the world’s fourth greatest train station. Istanbul‘s historical central train station, situated directly on the Bosporus, is the busiest rail terminal in Turkey and the Middle East, and is also one of the busiest train terminals in all Eastern Europe. Well, technically it’s on the Asia side of Istanbul, but we’re going to give it pass, just this once. Haydarpaşa station opened in 1872 but has since see several upgrades and improvements. The interior is beautifully decorated with an oriental style, offering its visitors stunning architecture and ornamental painting. Liège-Guillemins train station is the central station of the city of Liège, the third biggest city in Belgium and one of its most important hubs. Santiago Calatrava’s construction, officially re-opened in September 2009, may easily be compared to a work of art. This ultra-modern building looks like something straight out of a science-fiction movie. If the architect’s vision was to create something that stands out – mission accomplished! Not only is it one of Europe’s finest, it might be one of the world’s most impressive train stations. St Pancras railway station, also known as London St Pancras, was originally constructed in the middle of the 19th century and is widely celebrated for its stunning Victorian architecture. The redeveloped terminal, that is said to house Europe’s longest champagne bar, has been described as “the world’s most wonderful railway station”. With international service to Belgium and France, and many last minute holidays routing through London, it’s no surprise that London’s St Pancras is one of Europe’s busiest train stations. 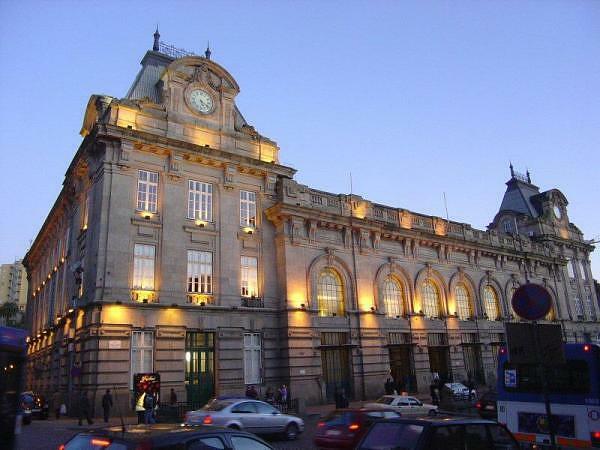 Gare de Limoges-Bénédictins is yet another historical train station said to be one of the most beautiful in the world. It is named Bénédictins because it is located near the Benedictin monastery, which was closed during the French revolution. What makes this central station unique is the fact that it was not rebuilt next to the original train tracks, but rather above them. A huge platform, placed right above the tracks, was built to support the main building (quite the engineering accomplishment). 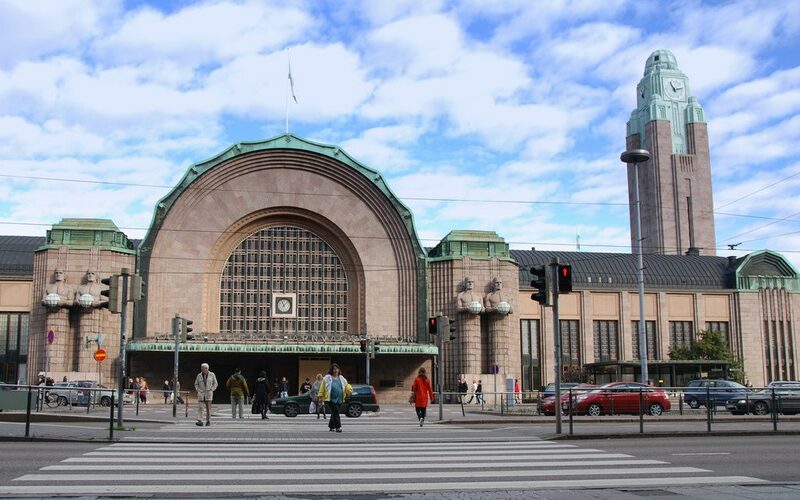 Finland’s most-visited building is a widely recognised landmark in central Helsinki, Finlands modest capital city. Originally opened in 1862, the elegant terminal is known for its clock tower and two pairs of statues that guard the main entrance by holding spherical lamps that shine during the night. Scotland’s second busiest railway station (next to Glasgow Central) dominates Edinburgh’s city centre with its over 25 acres of coverage, making it the the second-largest station in the United Kingdom in terms of area. Located in a steep, narrow valley in the old town of Edinburgh, Waverly is surrounded by some of the finest examples of Medieval architecture (as the photo below illustrates). I love train stations, and these are fantastic. I’ve only been to three on this list: Berlin Hauptbahnhof, London St. Pancras, Madrid Atocha – I’ll have to seek out the rest. Thanks for the post! Glad you enjoyed the post Henry. Great thread Canucks,Well I will tell you of the Greatest European Railway Station of all time. It is Abandoned today,my wife and I stumbled on it while visiting France and Spain in 2014…It is in the village of Canfranc(just a few inhabitants) in Spain,just over the border from France. When opened it was by far the Largest Station in Europe,if not the world.Just type in “Canfranc International Railway Station” there are loads of sites that will pop up,just check it out….you will be surprised. I would totally have to add in Grand Central Station in NYC. Well you would totally have to learn how to read first Mike! Indeed Grand Central Station in NYC is great, should be on the list. A tour of European train stations. What a great theme for a family trip in Europe. My son would be mesmerized at every single one. Thanks for the idea! They’re beautiful buildings, even if you don’t ride the train! I am really fascinated by the Istanbul Haydarpasa Terminal! It’s quite stunning, isn’t it? I love Grand Central too, and use it often. But as for European stations, I’d add the Hamburg Hauptbahnhof to the list. Personally, I’m a big fan of Amsterdam Central Station. Great place for people watching! Haydarpasa is not in Europe, it is in Asia. That’s the main reason for its existence! Thanks Andrew for observation, indeed Haydarpasa is on the Asian side of Turkey. Wow, you’ve included Helsinki? As a Finn, I don’t really see it belonging on the list. Fun fact though – those statues you mentioned come to life in the national railway television ads; they buy tickets, ride on trains etc. Witty and fun commercials! I would add the Central reailway station of Milan (MIlano Centrale). I have been there and it’s one of the things that you should see if you go to Milan.It’s very beautiful. I still remember the first time I visited Antwerpen and saw the train station. My goodness what a view. It’s very large and I noticed that some fog had formed around the roof which made it looks really cool. great article, incredible architecture! 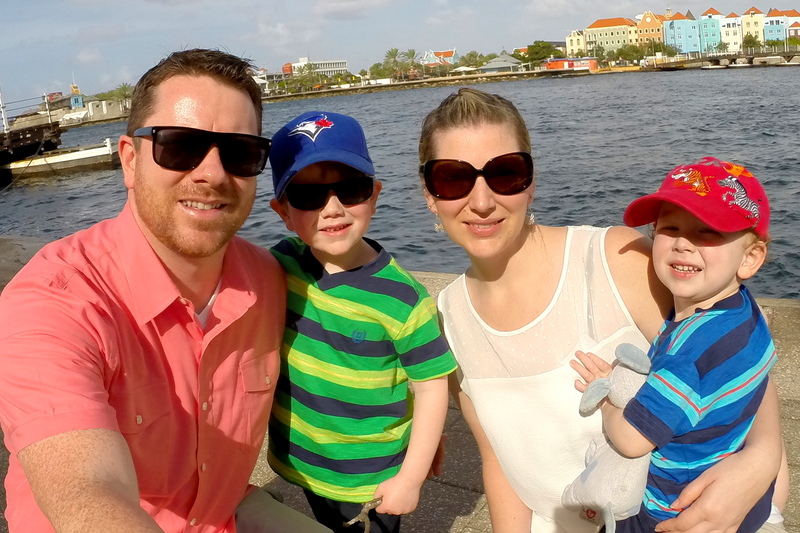 what are your thoughts on overnight train travel with infant in Europe? I miss this mindblowing trainstation! Shrewsbury station traverses the River Severn at a narrow point of the loop, which almost makes Shrewsbury an Island. It sits below large intact Norman castle, still used as a Museum & beside a Georgian Prison, still in use. 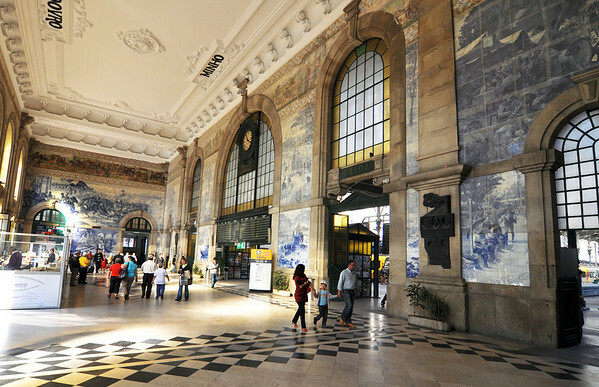 The Victirisn station is preserved with an imposing façade. The station is on the Euston line with direct Virgin services. Its the gateway to Wales, travelelors to the Port, University town Aberistwith change there, as do trains for North Wales Wreham, & Crewe. Its a secret gem. Once used by Darwin on his journeys, the starting place to Galapagos discoveries. Darwin’s statue near the station. Vienna’s new Hauptbahnhof is stunning, even though it looks and feels more like a shopping centre. Avignon TGV station is very impressive. Dear readers, I am a freak for train stations have visited hundreds across Europe. Here is my top 5.
worthy of mention is also Zürich!